We are a nonprofit association dedicated to public education and support of beekeeping in the Northern Virginia area. 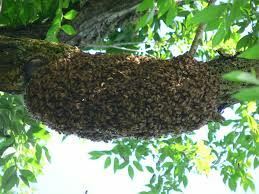 If you see a swarm or honey bees are entering your house please use the swarm alert form and a member will contact you shortly. Virginia State Beekeepers Association will hold its spring meeting on May 31 - June 1, 2019 at the Fredericksburg Hospitality House Hotel, Fredericksburg VA. Please visit virginiabeekeepers.org for more information.